Entertainment Earth has announced that starting tomorrow they will be announcing their exclusive preorders* for NYCC. Watch for the Star Wars exclusive to be announced on Friday, October 5. Note: Entertainment Earth used the Black Series Biker Scout graphic for their exclusives banner for SDCC 2018, so don’t assume that the exclusive for NYCC is Scout Trooper related. 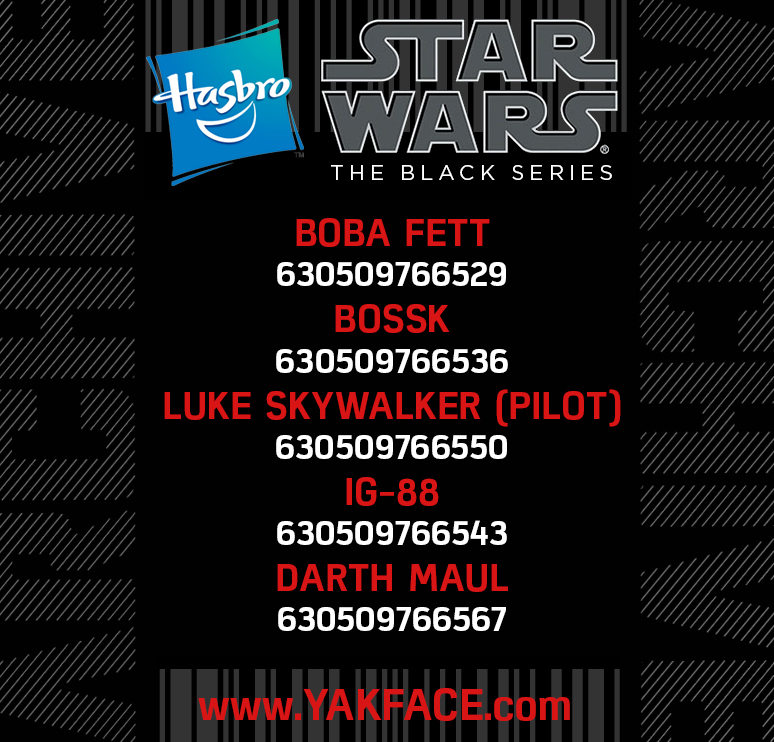 For those that keep track of these things whether for cataloguing or product tracking, we’ve added the UPCs for the upcoming 6″ Black Series Archive figures to our Master List of products. As you recall, Hasbro officially announced at SDCC 2018 that the Archive assortment would take popular/in demand Black Series figures and reissues them with slight updates like Photo Real technology (where applicable). These figures will be blister carded. A couple months ago we teased what we thought was another SDCC exclusive, when in fact it was another convention exclusive. Robot Kingdom has posted the first look at that set showing a reworked Han Solo in Hoth Gear with Princess Leia in a cool Echo Base presentation/display box. Watch for an official announcement soon. Hasbro SDCC Exclusives are back in stock! 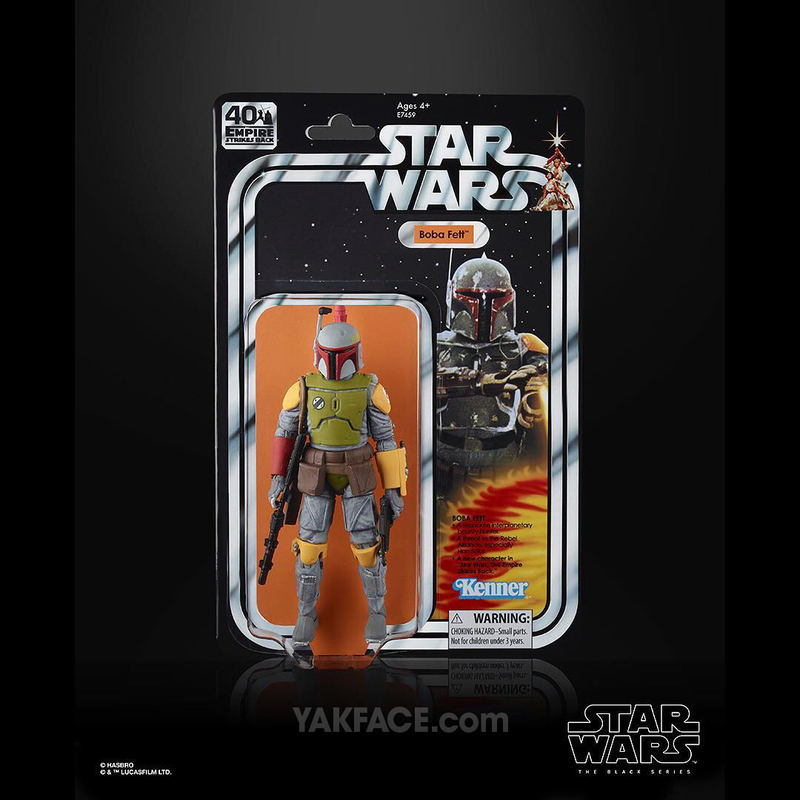 Hopefully you saw our rumor report of upcoming Vintage Collection figures we posted last week prior to SDCC. 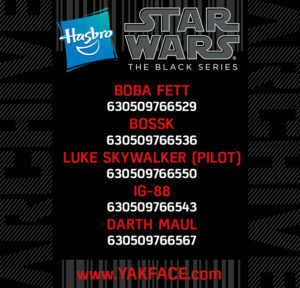 Only a few were revealed but as promised, here are the UPCs and Walmart SKUs for those figures. This should fill in some (not all) of those open slots shown on Hasbro’s slide for 2019. You’ll notice a couple absences from our initial report (Luke Skywalker, Darth Revan and Death Star Gunner) – I’ll provide those respective codes once I do a bit of double checking and cross referencing to insure their accuracy. These have been added to our Master List as well. Here is our gallery of images for Hasbro’s Panel at this year’s San Diego Comic-Con. Thanks to Cargo Hold team member Chris for passing these on to us. Clean or Dirty: How Do You Like It? Steve Evans posed the question this morning via Instagram in response to the reveal of the new Rogue One Stormtrooper coming to the Vintage Collection. Some collectors prefer it clean, others dirty/weathered. There is still enough production lead time to reflect the opinion of the masses. Leave your opinion on his post here.